It is almost impossible to find anything stronger than a bond between a mother and her child. They will not always see eye to eye with each other, and there will be more than a few ups and downs in the course of the relationship. But there is no doubt that mothers are always in their child’s corner, rooting for them to be the best they can be. 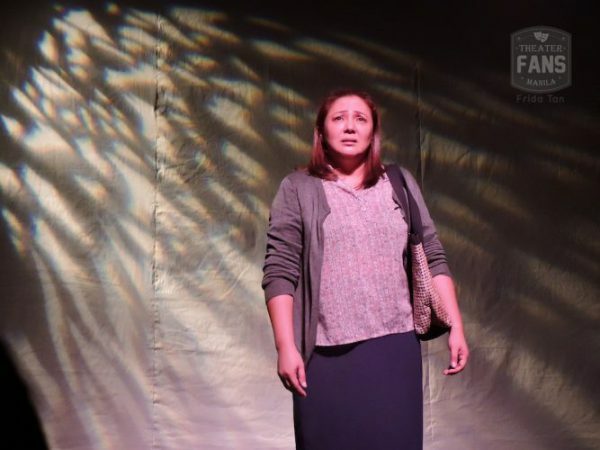 In this Filipino adaptation of Marsha Norman’s ‘’Night, Mother”, we see how Thelma (Sherry Lara) tries her best to dissuade her daughter from committing suicide. The audience’s hearts break as hers does, and seeing Lara’s raw agony unravel on stage is almost unbearable to watch. 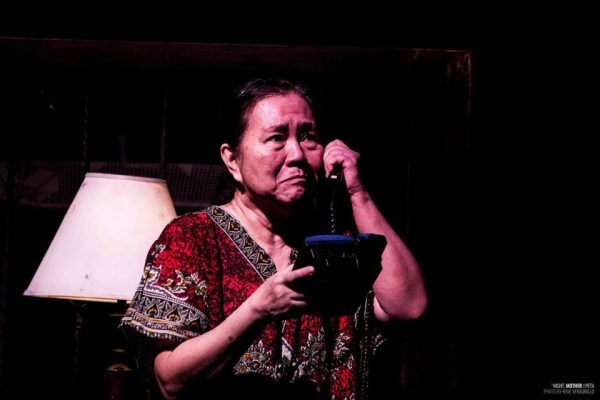 Aling Saling (Bituin Escalante) is a paragon of unconditional love, adopting Elsa and staying by her daughter’s side from when she was loved by the community and even to the bitter end, when things spiraled out of control. In the song ‘Paano Kung Nagkamali Tayo’, knowing full well that her daughter has gone too far, she pleadingly tells her, ‘Talikuran na ang himalang ito.’ as she desperately continues to look after her until the very end. 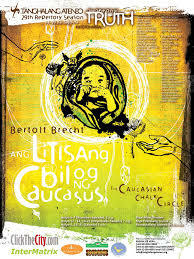 Nanay Tere (Upeng Galang-Fernandez) was an activist and a mother to son Hector during the Martial Law regime. Growing up, Hector felt abandoned for not having what he thought was a conventional mom. What he didn’t know was how much she actually sacrificed to make sure that he and his generation had a chance at a better future. When Nanay Tere finally decides to let her guard down and share her tortured past with him, their relationship is changed forever. 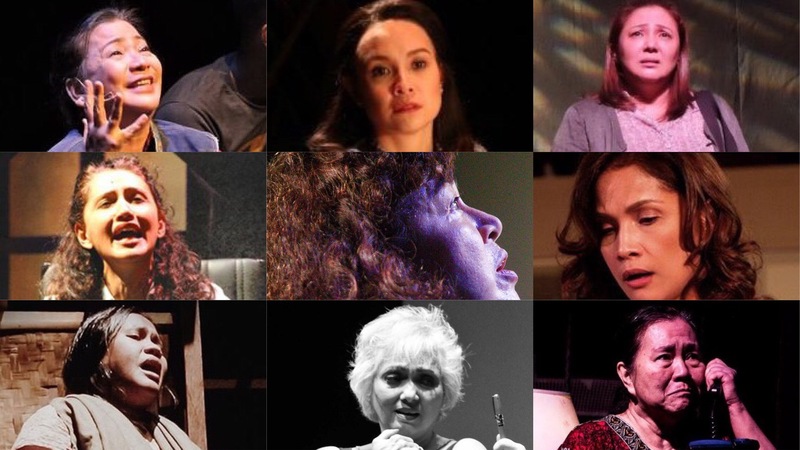 Leticia (Celeste Legaspi) is the tough yet principled widowed mother of dedicated scientist Dolly Dalisay. As Dolly tries to convince her mom to sign off on a scientific paper she wrote, their back-and-forth reveals the complexity of their mother-daughter relationship. Things are never just black and white when it comes to family. 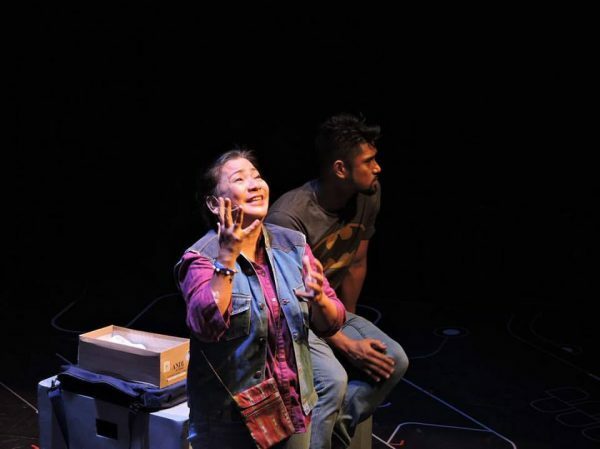 In ‘The Asawa’, we find out that the mom (alternated by Mayen Estanero and Cherry Pie Picache) has just become a widow to a deceased NPA guerilla soldier. As painful as it is for her, she doesn’t stop thinking about the well-being of her child. She breaks the news as gently as she could and tries to remain strong for him even amidst overwhelming grief. 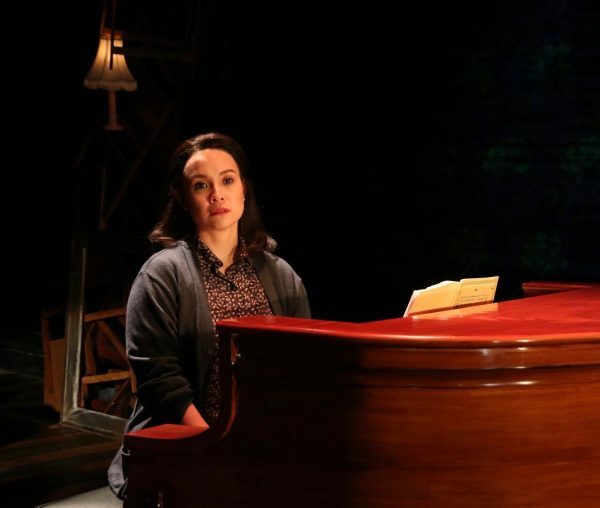 Katherine Brandt (Shamaine Centenera-Buencamino) is a brilliant and determined musicologist grappling with ALS. Because of conflicting personalities and worldviews, she struggles to have a real relationship with her daughter Clara. But as her mortality draws near, she slowly reconnects with her upon realizing that the only thing that was really stopping her was the fear of leaving Clara on her own. 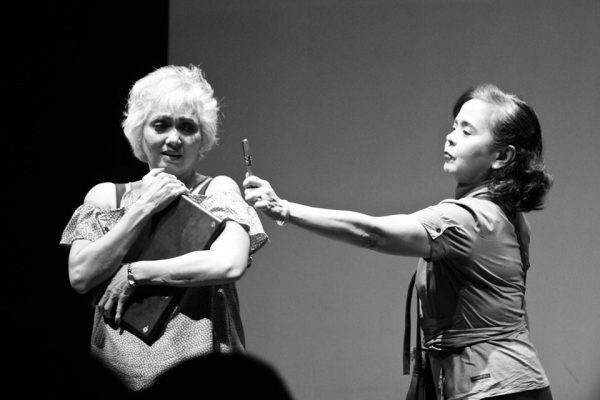 Nanay Moran (May Bayot) is mother to Mely and Viva, two sisters who have very different approaches to life. She calls them, “Dalawang dalaga kong magkaibang-magkaiba”, but “Patas lang sa puso ko. Walang mas matimbang, walang mas magaan, walang nakalalamang. Kayong dalawa sa puso ko ay iisa.” She loves them both fully and unconditionally no matter what they bring to the table. Mary Jane (alternated by Isay Alvarez-Seña and Kalila Aguilos) was the tenacious Barangay Captain of Barangay Venezia and single mom to son Kenny. She brought him up well even when circumstances weren’t always in their favor. Now that Kenny’s an adult, he wants to use his artistry to make a difference in their community. Mary Jane initially dismisses the idea as impractical, but soon gives him her full support, realizing that his ambition and novel concepts are exactly what their barangay needs to prosper. Becca (Agot Isidro) and her husband Howie lose their 4-year old son in a fatal car accident. Her inability to cope with this grief suffocates her and threatens her relationships with the people closest to her. It is only after she begins dealing with the unspeakable tragedy (an insurmountable feat for any mother) that she is able to heal and reconnect with her loved ones. 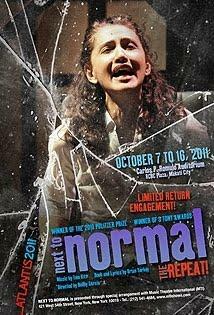 Diana Goodman (Menchu Lauchengco-Yulo) is a mother who suffers from bipolar disorder. She tries her best to go through the treatments that her husband takes her to to try and keep the peace at home. Unfortunately, her relationship with her daughter is strained because of the recurring symptoms of Diana’s illness and her inability to deal with a heavy loss. With a desire to make things right between the two of them, she makes a difficult decision that she thinks would ultimately be best for her daughter, even if it means risking her personal security. Grusha (Regina de Vera) is a maid who rescues a child amidst chaos and takes care of him as her own. In a court scene that served as the pinnacle of the production, Grusha and the child’s greedy birth mother fight for custody of the child. The challenge posed by the court could physically hurt the child, and Grusha couldn’t find it in herself to participate. This innate motherly love proves that she is ultimately the child’s rightful mom.